Place of Birth: Westminster, Colorado, United States of America. Signature Moves: Diving headbutt, Biel Throw, Canadian Backbreaker Rack, Delayed Vertical Suplex, Diving Headbutt, Gorilla Press Powerslam, Grounded Knee Strikes, Iron Claw Slam, Lariat, Pop-up Powerslam, Scoop Powerslam. Sullivan is a combination of super strength and volatile anger. He started training in Colorado from a young age and made his mark by appearing in the WWE in the year 2013. He currently competes in WWE’s developmental territory NXT. Dylan made his WWE debut in the year 2013, appearing in the WrestleMania Axxess in a match against Marcus Louis. He defeated his opponent on the debut. He made his television debut in the year 2017 appearing in an episode of NXT. He teamed up with Michael Blais on his debut in a losing cause. In September 2017, he won a 3 on 1 handicapped match presenting himself as an unstoppable monster. 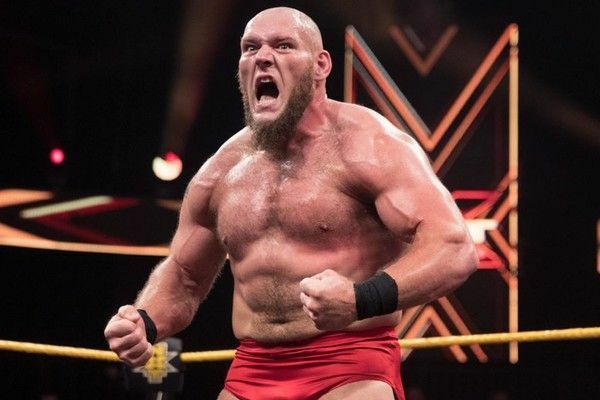 He adopted the ring name Lars Sullivan in the late half of 2017. He attacked No Way Jose way before the match which was his first single performance appearance. He defeated Kassius Ohno in the match which was requested by Ohno at the NXT TakeOver: WarGames in the year 2017.